Fifty-three cases of E. coli are reported in 16 states as a result of contaminated chopped romaine lettuce coming out of the Yuma, Arizona growing region, according to the Centers for Disease Control and Prevention. The state with the most cases? Pennsylvania, by far. The Keystone state has a reported 12 cases, with New Jersey not far behind with reports of seven. The multi-state outbreak, though pinpointed to Yuma, has not been linked to a specific brand or grower of romaine lettuce. The CDC said Wednesday that all U.S. consumers should throw away any previously purchased chopped romaine lettuce, including in pre-made salads or salad mixes, even if it’s been consumed with no resulting illness. 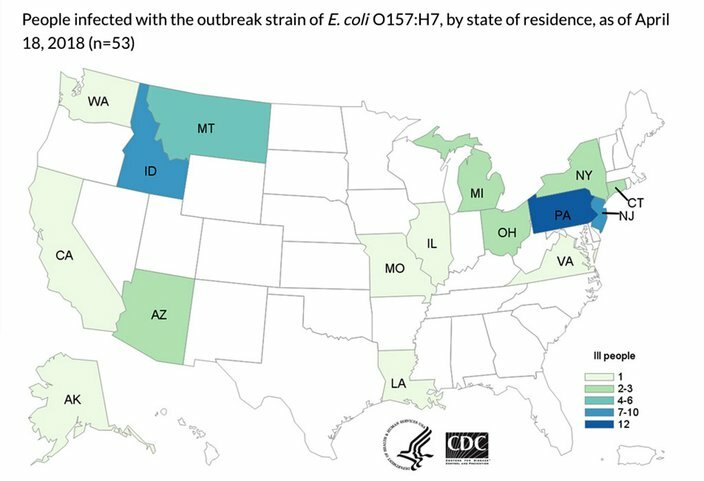 Pennsylvania has nearly a quarter of all E. coli cases in the nation right now, according to the CDC. “If you do not know if the lettuce is romaine, do not eat it, and throw it away,” the CDC instructs. The national outbreak was widening. The CDC reported only 11 states with cases as of Friday, April 13. The first reported case was a month prior, on March 13. The ages of those infected range from 10 to 85, and the vast majority – 70 percent – are females. Thirty-one people have been hospitalized and five people have developed kidney failure, though there are no reported deaths. The CDC is advising restaurants and retailers to take caution by not serving or selling any chopped romaine lettuce, including in a salad, and to ask their suppliers for details on their source. 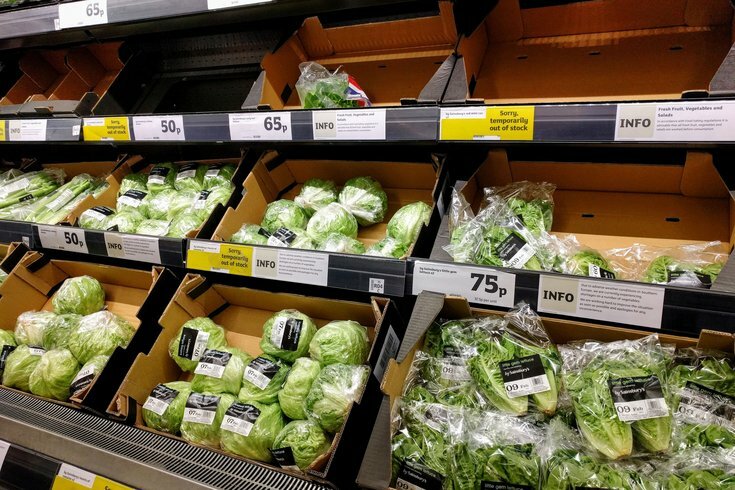 The New York Times pointed out that, due to the short shelf life of lettuce, health officials are having difficulty pinpointing the origins of the outbreak. The CDC was able to specify the outbreak down to chopped romaine using PulseNet, which catalogs samples of harmful bacterias from infected patients. Symptoms of E.coli include diarrhea, vomiting and severe stomach cramps. Recovery can take up to 10 days.